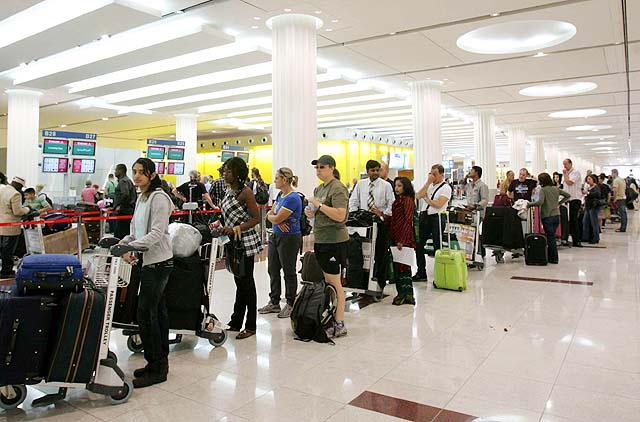 Dubai: Some airlines operating at Dubai International are already working to make some changes to their schedules in preparation for the upcoming refurbishment of a major runway, and flyers are advised that some flights will have to be cancelled or moved to a nearby airport in 2019. For 45 days next year, from April 16 to May 30, Dubai’s main airport will close the southern runway for upgrade works and during this period, there will be a significant reduction in aircraft movements. With only one runway working for more than a month, airlines have been required to reduce the number of flights. Emirates has confirmed that it will drop some flights and reduce the frequencies on certain routes during the maintenance period. And while the runway works are happening next year yet, the airline is advising customers to keep checking flight schedules, as changes are now underway. “During the runway closure period, Emirates will cancel certain flights, reduce frequencies to some destinations and re-time some flights based on slots availability at DXB,” a spokesperson said. Dubai Airports first announced in February its plans to close Dubai International’s southern runway to pave the way for comprehensive refurbishment works that will involve the placement of approximately 60,000 tonnes of asphalt and 8,000 cubic metres of concrete to strengthen and resurface the runway and adjacent taxiways. The airport logs 1,100 aircraft movements per day and with only one runway operating for more than a month, travellers can expect a significant reduction in capacity. “In terms of flight movements, the reduction in capacity is estimated at this point to be approximately 43 per cent,” according to Dubai Airports. With the limited capacity, some affected flights may also have to be moved to Dubai World Central. "[The] Dubai World Central (DWC) will be an available alternative to absorb affected scheduled flights as well as charter, cargo and general aviation operations." Another UAE-based carrier, flydubai said it will be updating its flight schedules soon and passengers are also advised to keep track of any flight updates. “Following the announcement by Dubai Airports about their southern runway rehabilitation programme, we will be publishing updated schedules in the near future. We will keep our passengers updated with operational updates,” a spokesperson told Gulf News. Dubai International’s southern runway (12R-30L) is now nearing the end of its design life and some works need to be carried out in order boost safety, service and capacity levels. Construction crews will be laying down loads of asphalt and concrete, as well as install 800 kilometres of primary cables and replace 5,500 runway lights with more modern, economic and environmentally friendly technology. It’s not the first time Dubai Airports is undertaking runway refurbishment works. In 2014, the northern runway was also shut for a 45-day period.